Honda has kept rather modest, despite deserving the title of first manufacturer to introduce a mainstream hybrid vehicle to the market. With the increasing prices of gas - not quite the actual trend - many manufacturers have turned to hybrids to keep their customers happy at the gas pump. If the problem is currently in recession, hybrid cars continue to find their place in the people’s driveways as great urban driving options. On the green side of things, Honda has kept rather modest, despite deserving the title of first manufacturer to introduce a mainstream hybrid vehicle to the market. People might not remember the Honda Insight, but in 2016, they sure know about the Civic and the Accord hybrid. All things considered, the Honda Civic hybrid has been around for over a decade. Introduced with the model’s seventh generation, it reached the North American market in 2002. Hybrid technologies were not the same as they are almost 15 years later, yet the goal has always remained the same: saving the owners some precious gas dollars. Based on the award-winning Civic platform, the Civic hybrid is offered with a perfect balance between gasoline and electric-powered engines. The 1.5L, 4-cylinder combustion powertrain is teamed with a lithium-ion battery, providing a combined 133 hp. 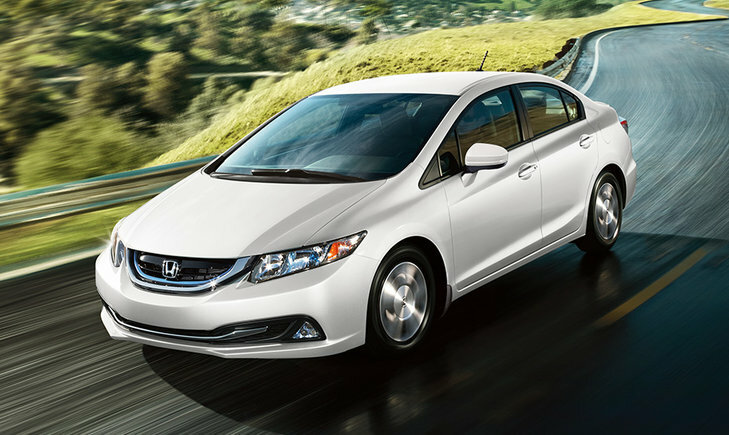 Thanks to the CVT and to the Eco Assist System, the Civic Hybrid offers an average fuel economy of 5.2L/100km. The Civic hybrid combines all the perks of the four-door compact sedan with all the benefits of a hybrid, fuel saving powertrain. If you like a slightly bigger vehicle while still benefiting from great fuel economy, you can opt for the Honda Accord hybrid. This variation of the mid-size sedan is the elegant way to go green. 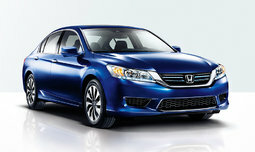 The Accord hybrid is available in two trim levels, standard hybrid and Touring, Honda’s top of the line version. Both models are powered by a 2.0L engine rated at 122 lb-ft of torque and a combined gasoline and electric power of 196hp. Both trims also come equipped with a CVT for improved fuel economy and the three drive modes seamlessly switch between full electric, hybrid and gasoline engine, making for an average fuel economy of 5.0L/100km. Both Honda sedans also offer a wide variety of entertainment and safety features like their gasoline counterparts. Features include HandsFree Link infotainment system, Honda Lane Watch, rearview camera, heated front seats, brake and hill start assists, navigation, cruise control, wheel-mounted controls and much more. The Honda Civic hybrid and the Honda Accord hybrid are available at Lallier Honda Montreal. Come and discover how Honda can help you save gas and save money!